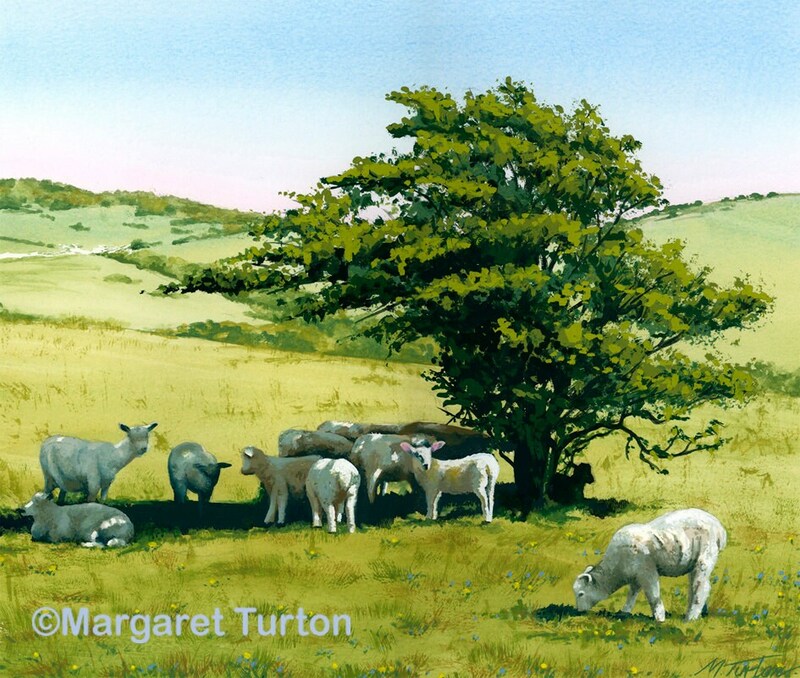 Lambs shelter under the shade of a tree on a hot English summer day.. From an original watercolour by Margaret Turton. 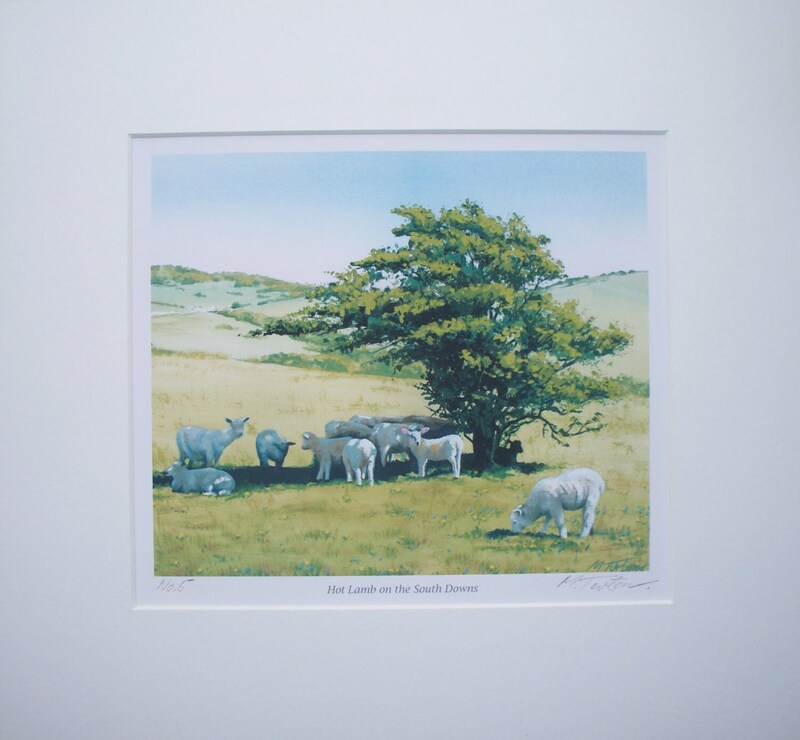 Print signed by artist. Maximum print run 50 copies.